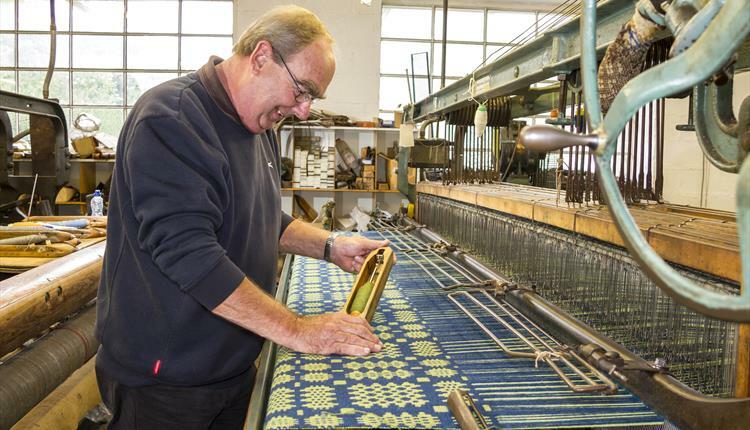 Our pure wool products together with garments, accessories and homewares made up in our fabrics can be purchased in our shop. We also stock pure wool knitwear and sheepskin goods. The shop and turbine house are open Monday – Saturday all year (except for Christmas Day, Boxing Day and New Year’s Day) plus Sundays from Easter – end October. 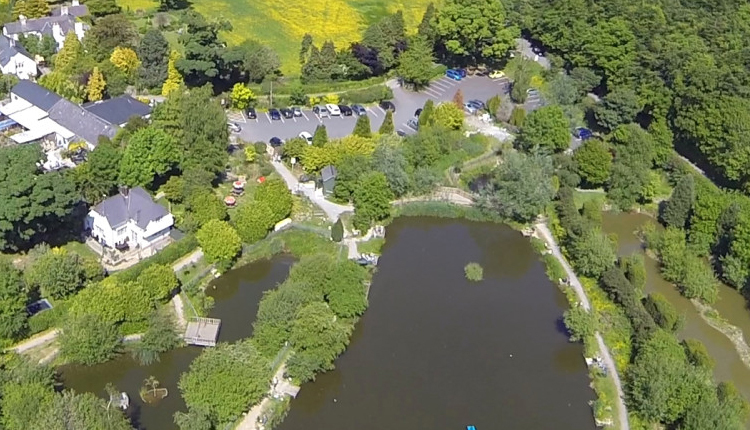 Conwy Water gardens is such a lovely family day out – especially if the sun is shining! The best bit is, it is dog friendly and free!! There is a donation box if you want to contribute to the upkeep of these beautiful gardens. Pretty & interesting nature trails, three lakes, a play park for the children & lovely little surprises along the way. Look out for the giant shoes! Plas Cadnant Hidden Gardens as featured in the book ‘Discovering Welsh Gardens’ and in the Telegraph magazine. This is a large restoration of a previously hidden garden never before been seen by the general public. Long season of interest with many rare and unusual plants. 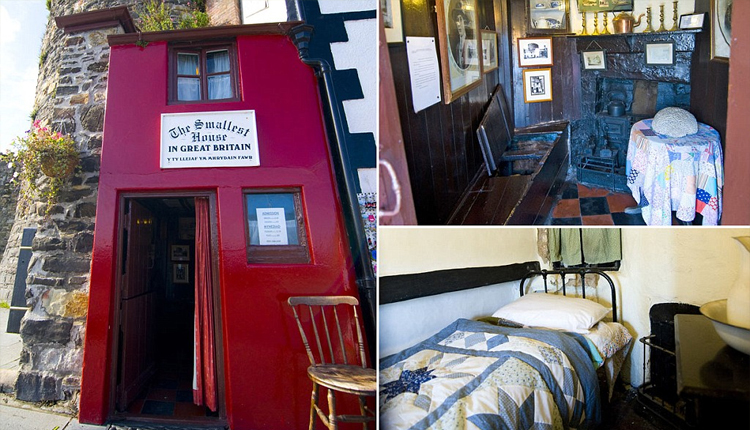 Officially in the Guinness World Records, this super cute 16th century little house on the harbour front in Conwy is listed as the smallest house in Great Britain. Tourists from all over the world are drawn to this tiny house, amazed that anyone ever actually lived there. In fact, the last tenant in this house was a fisherman called Robert Jones, who was 6ft 3′. With just two rooms, it is just 122 inches tall. Many neighbouring cottages were knocked down by the authorities however the local community stood up to the authorities and raised enough money to save it by turning it into a tourist attraction! 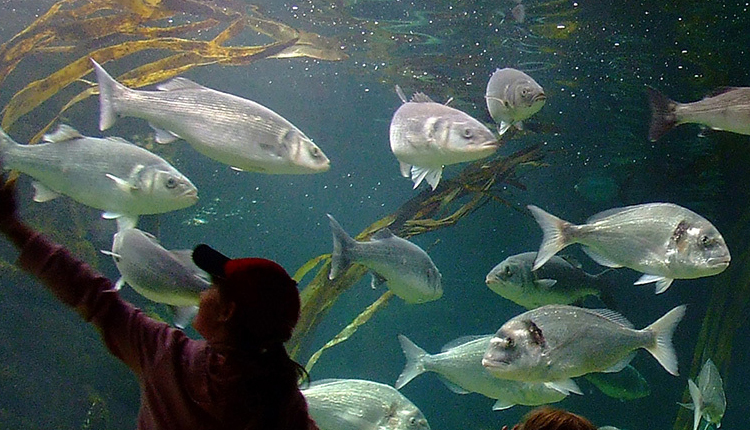 Anglesey Sea Zoo is a unique aquarium with over 40 tanks displaying the best of British marine wildlife! Don’t expect to see large sharks, tropical fish or sea turtles – instead you’ll find fascinating creatures from around the coasts of the UK, such as octopus, lobsters, seahorses, conger eels and small British catsharks! You’ll also learn about British marine habitats and the research and conservation work which is helping to save them. All standard and family tickets are valid for 6 days after day of purchase so you can see your fishy friends and marine mates again for free in the week following your first visit! A great deal for families! Foel Farm Park near Brynsiencyn on Anglesey is a lovely family day out where you can experience the sights, sounds and smells of a real working farm. Visitors are invited to meet, touch and feed the animals. Situated in a beautiful beachside location by the Menai Strait with stunning views of Caernarfon Castle and Snowdonia. 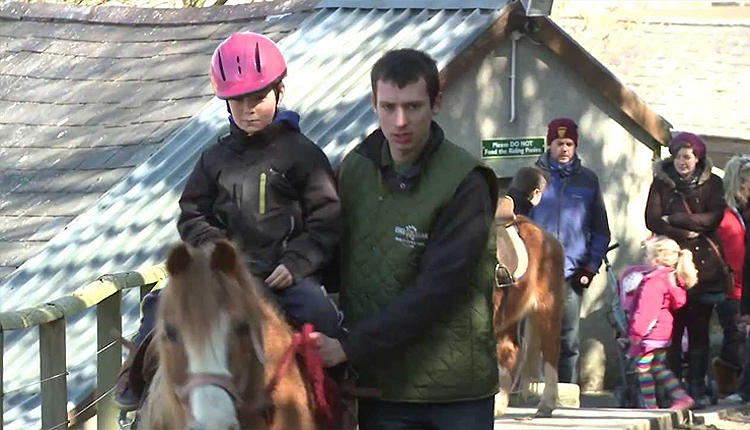 There are tractor & trailer and quad bikes, mini trailer rides, pony rides and lots more. There is also a café and bistro bar, gift shop and even a chocolate workshop where you can see chocolates being made – something for the children and adults alike! 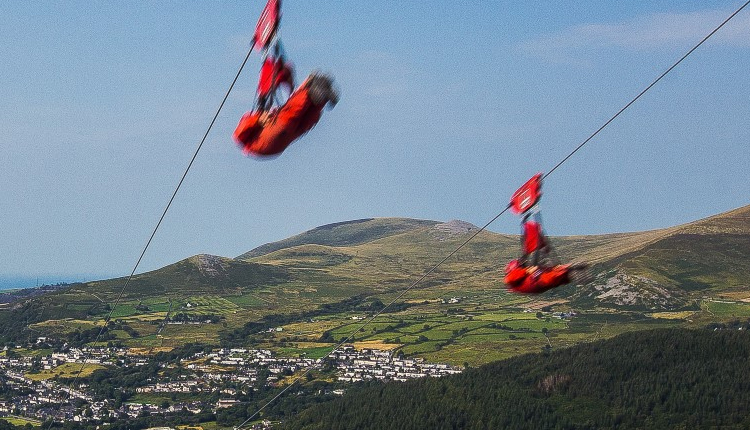 Penrhyn Slate Quarry, near Bethesda in North Wales, is now home to Zip World Velocity, the fastest zip line in the world and the longest in Europe. Enjoy the view of adrenaline seeking zippers from our viewing area or take on Zip World Velocity itself! Velocity is the fastest zip line in the world and the longest in Europe. This adventure takes you on the Little Zipper to build your confidence before you journey up the quarry on our famous red trucks. You will then descend down the Big Zipper over the quarry lake often reaching speeds in excess of 100mph. Bring out your inner James Bond and Lara Croft on Zip World Bounce Below where thrill seekers aged 7 and up get a shot of pure, unadulterated fun in a spectacular setting deep underground. 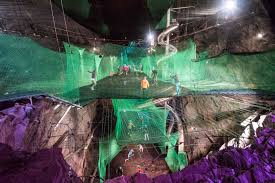 The breath taking site, in a former slate mine in Blaenau Ffestiniog, lets you play, slide, jump and bounce from net to net in a cavern the size of a cathedral. Bounce Below now offers four new industrial slides, the height of two double decker buses and six new levels of bouncing fun, giving underground adventurers 400 addition square meters to explore. 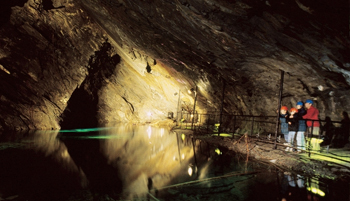 Visitors enter a network of enormous caverns hidden underground, once home to a working Victorian mine, and now brought back to life as the only subterranean playground of its kind – a unique adventure in a beautiful and historic location. Voted the Best Family Attraction in North Wales for 7 years, days out don’t get much better than at GreenWood Forest Park. 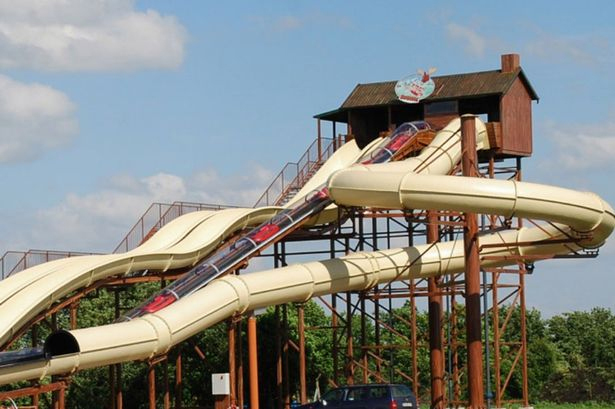 Make a splash on the UK’s only solar powered water ride, jump aboard the world’s first people powered roller coaster or zoom down the longest sledge run in Wales! Children will love discovering the super bouncy Giant Jumper, exploring the turrets of TreeTop Towers, taking their shoes and socks off for the BareFoot Trail or aiming for gold at Archery. 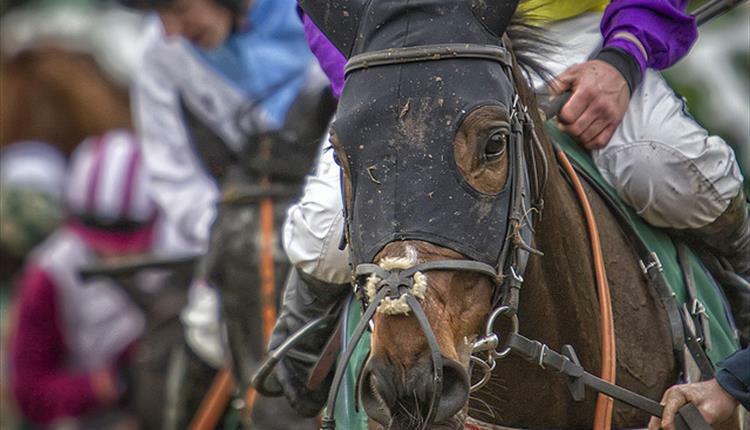 All in all, you will discover hours of fun with constantly changing special events. The little steam engines take you on a 5 mile return journey alongside Lake Padarn right in the heart of Snowdonia. The journey takes you past the 13th Century Dolbadarn Castle, across possibly Britain’s shortest river and past Llanberis’ twin lakes. There is a short stop at Cei Llydan, a beautifully tranquil place that is ideal for a lakeside picnic, and at Gilfach Ddu, where you can visit the National Slate Museum, watch the driver stoking the fire, the engine taking water, or spend some time in the gift shop and café. The 5 mile trip takes around 60 minutes, and all advertised trains are scheduled to be hauled by one of our vintage steam engines rescued from the nearby Dinorwic slate quarries and lovingly restored. Trains have wheelchair accommodation, but spaces are limited so get in touch first to confirm your place. Dinorwig Quarry closed in 1969. 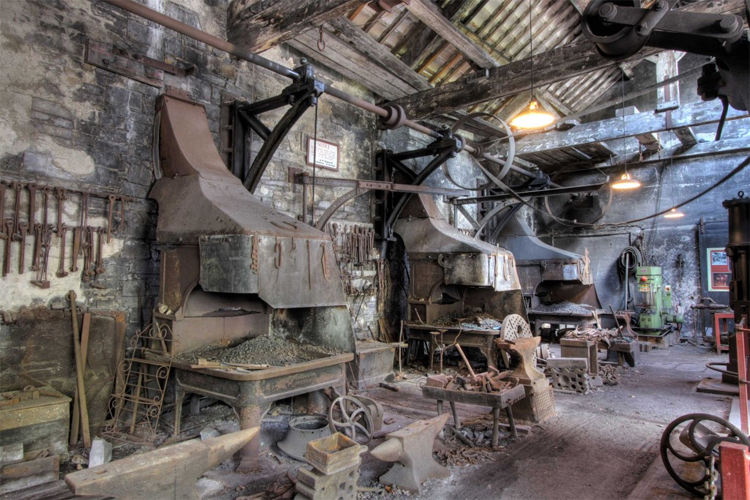 Today, rather than fashioning wagons and forging rails, the workshops tell a very special story – The story of the Welsh Slate Industry. Slate splitting demonstrations done the way it was done all those years ago, the workshops that look as though the workers have just downed tools, and the fabulous examples of the quarrymen’s houses that capture the different periods of time in history that you can wander round – and the best bit is there is no entry fee! Dogs are allowed on site if on a lead at all times. Guide dogs for both visually and hearing impaired visitors are welcomed and are allowed into the Quarrymen’s House and the Chief Engineer’s House. The nearby quarry was a very dangerous place. After a custom built hospital was built on the shore of Padarn Lake in 1860, the injured men were taken there to receive medical attention. The hospital still stands today, laid out as though still in operation, with original artifacts, and really transports you to a time long gone. The mortuary with stone slabs is still there too, and you can explore both for free! Dogs are allowed in (on a lead). The views from the picnic tables outside are stunning! 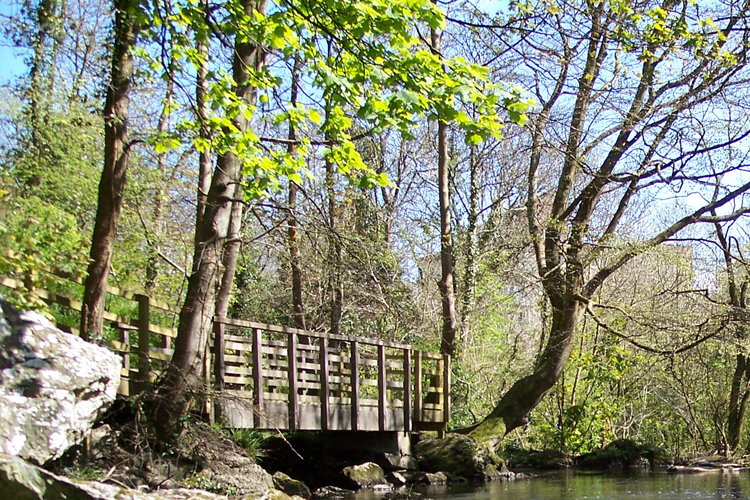 A haven for wildlife, this 25 acre woodland valley is fabulous for a good walk with Fido and family! Leading to Cefni Reservoir, amble through the beautiful woodlands taking in all sorts of wildlife, then continue all the way around through pine forest. A wooden boardwalk follows the lake passing sculptures, with plenty of picnic tables and benches along the way. In the Springtime, you will be astonished at the beauty of the wild bluebells! There are many places to park along The Dingle, but Llangefni town is as good as any. From here, you can access the centre of The Dingle. There is a charge for entry. Dogs allowed if on a lead. 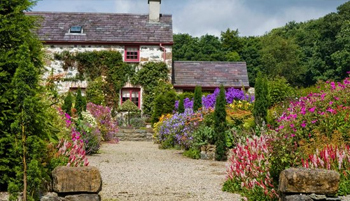 Discover the stunning plant collections of all colours and shapes in this 80 acre garden above the River Conwy. The garden is separated into two sections, one is known as ‘The Dell’ where you will find the wild garden. The other is the Upper Garden set around Bodnant Hall. The Laburnum Arch is simply stunning! 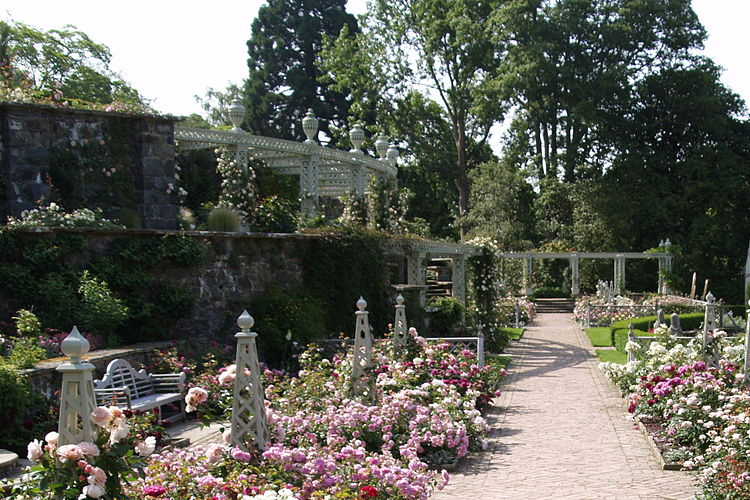 Bodnant Garden (which is owned by the National Trust) is one of the most spectacular and admired gardens in Britain. It was voted the winner of “The National Trust Gardens Award” by National Trust members and visitors, and separately it was voted “The Favourite Garden in the Country” by Daily Telegraph readers. It was created by successive generations of the McLaren family, but was primarily the creation of the 2nd Lord Aberconway (Henry McLaren) who gave it to the National Trust in 1949.